At the heart of APEX are its sensitive instruments. One of these, LABOCA (the LArge BOlometer Camera) was used for the ATLASGAL survey. LABOCA measures incoming radiation by registering the tiny rise in temperature it causes on its detectors and can detect emission from the cold dark dust bands obscuring the stellar light. The new release of ATLASGAL complements observations from ESA’s Planck satellite . The combination of the Planck and APEX data allowed astronomers to detect emission spread over a larger area of sky and to estimate from it the fraction of dense gas in the inner Galaxy. The ATLASGAL data were also used to create a complete census of cold and massive clouds where new generations of stars are forming. ATLASGAL is a collaboration between the Max Planck Institute for Radio Astronomy (MPIfR), the Max Planck Institute for Astronomy (MPIA), ESO, and the University of Chile. APEX is a collaboration between the Max Planck Institute for Radio Astronomy (MPIfR), the Onsala Space Observatory (OSO) and ESO. 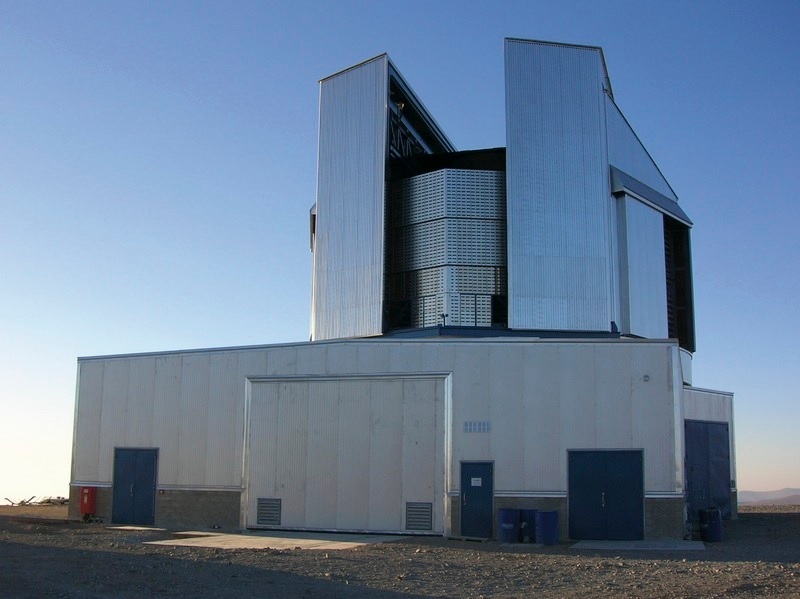 Operation of APEX at Chajnantor is carried out by ESO. ALMA is a partnership of the ESO, the U.S. National Science Foundation (NSF) [NRAO] and the National Institutes of Natural Sciences (NINS) of Japan [NAOJ] in cooperation with the Republic of Chile. ALMA is funded by ESO on behalf of its Member States, by NSF in cooperation with the National Research Council of Canada (NRC) and the National Science Council of Taiwan (NSC) and by NINS in cooperation with the Academia Sinica (AS) in Taiwan and the Korea Astronomy and Space Science Institute (KASI).